This highly stylized Chinoiserie rocco design features figures sitting under a canopy, flanked by regal phoenixes perched upon pierced scroll work. The base is adorned with delicately rendered terrain, scroll work and hanging frozen cascades. 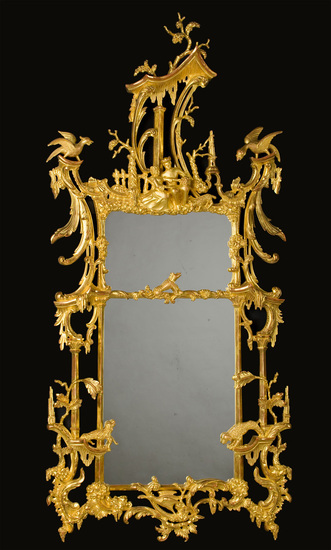 A variety of gilt and colored mirror finishes are available.